Recently, Wired magazine wrote an interesting article that discusses the battle between the FCC and wireless carriers over various features (GPS-enabled location tracking, media, and links) that might be implemented as part of FEMA’s IPAWS Wireless Emergency Alerts. 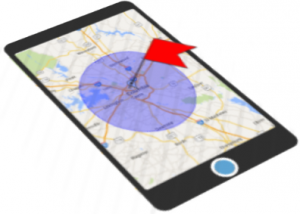 While the FCC and some public safety officials see personalized location tracking as an opportunity to more accurately and precisely inform the public in case of a serious emergency, others raise concerns regarding citizens’ rights to privacy. And wireless carriers have concerns regarding implementation as well as the privacy concerns of their customers and the potential impact to their bottom line. The FCC also wants to require multimedia content (e.g. images and links) to be embedded in wireless emergency alerts and has passed a rule requiring the inclusion of links and other references in WEA messages. According to the FCC and emergency responders, these changes help to make alerts more informative and effective. Wireless carriers, however, object that adding media to alerts could result in network congestion due to larger message sizes and adding links may also flood their networks as large numbers of people download a lot of data at once. Mass Emergency Notification systems such as Hyper-Reach typically send messages to local residents via landlines and other communication methods, which a resident could choose during a registration process. But landlines are only present in 40%-50% of households and less than 10% of residents will typically use a registration process, so there are gaps. Since IPAWS WEA alerts can reach almost all cell phones and more than 95% of people have a mobile phone, IPAWS WEA can fill in the gaps to reach residents and visitors in an affected area who haven’t registered. And soon the links you include in your public notifications will be included with your IPAWS alerts as well. On a more somber note, less than 25% of our local jurisdictions are currently certified with FEMA for authorization to use this valuable tool. Stay tuned for more on that topic in our next post!